Polls are surveys for readers to vote and interact with the wiki and express their preferability over the options of the poll. The polls are a way for the wiki to know what the readers prefer and what their interests are. 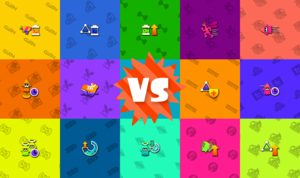 On 17 February 2016, SuperHamster brought up the poll widget to the wiki during the Pokémon Red vs. Pokémon Blue/Pokémon Red vs. Pokémon Green Splatfest. However, due to a placement glitch that couldn't be resolved, the poll was eventually abandoned. Two years later, on 24 February 2018, Shahar fixed and brought back the poll widget to have it return on the main page. In 29 June 2018, poll suggestions form was added in Google Docs. The polls are usually swapped every other Saturday at around 7:00 PM UTC. If you want to suggest a poll, simply fill out this form. Which pop idol do you prefer? Which class of weapons do you like the most? 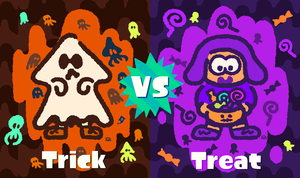 Which multiplayer game mode is your favorite? Which secondary ability is your favorite? What do you like the most in version 3.0.0? 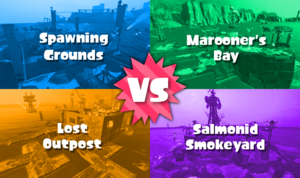 What is your favorite Salmon Run stage? 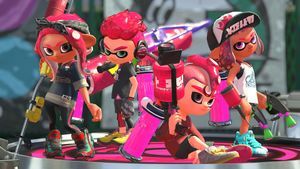 How do you play Splatoon 2? 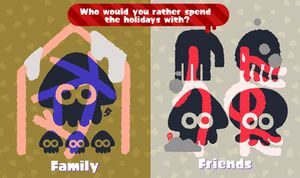 What is your favorite special weapon in Splatoon 2? 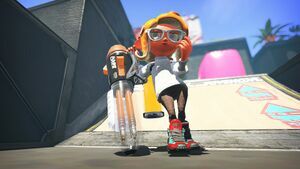 What is your favorite sub weapon in Splatoon 2? Which brand makes the best gear? 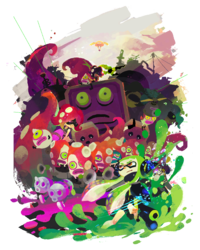 Which Salmonid is the most annoying in Salmon Run? Which single-player campaign do you like the most? 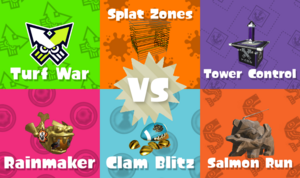 Which stage from the original Splatoon would you like to see return in Splatoon 2? What do you use the most: front line or back line weapons? 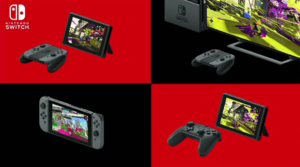 Do you have Nintendo Switch Online service? 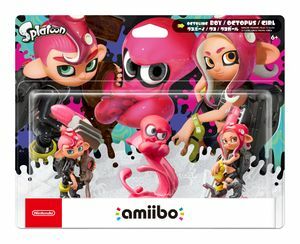 Do you have Splatoon merchandise? 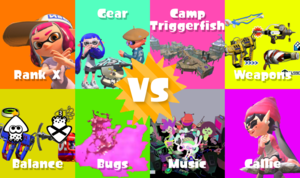 What is your favorite multiplayer stage in Splatoon 2? 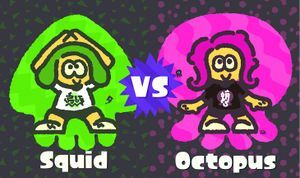 What is your favorite multiplayer battle theme in Splatoon 2? 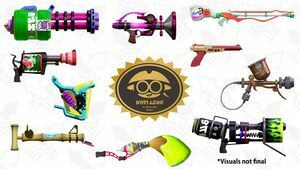 Which weapon from Sheldon's Picks are you most excited for? 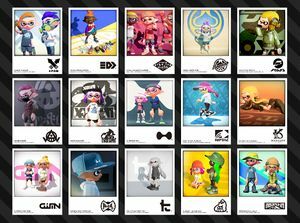 Which hair style do you like the most in Splatoon 2?